Te Papa’s botanists made several significant finds during their explorations accompanying the recent Bryophyte and Lichen Workshop. 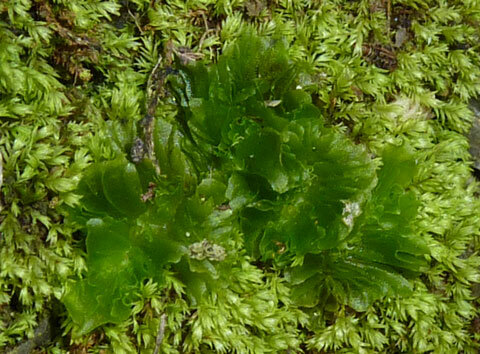 Led by Research Associate Peter Beveridge and Research Fellow Patrick Brownsey, the moss Dicranoweisia spenceri was found in some abundance at the site we investigated within Tongariro National Park. This is great news because this is only the second known living population of Dicranoweisia spenceri, after its recent rediscovery at Arthur’s Pass by Landcare Research’s Allan Fife. More sites around Tongariro National Park now need to be searched for Dicranoweisia spenceri to determine how widespread it is there. The moss Dicranoweisia spenceri on a branch of a beech tree, Tongariro area. Photo Leon Perrie, © Te Papa. Close-up image of Dicranoweisia spenceri. Interestingly, Peter realised the importance of some of his collected* specimens only after we had returned home and he examined them with a microscope – the moss Hampeella pallens from the Bay of Plenty and an undescribed species of Lopholejeunea liverwort near Mahia. In addition to a 1983 record from the Kaimai Ranges, Hampeella pallens was known from the Bay of Plenty but without a precise locality. It has a current threat classification of Nationally Critical, one step above Extinct. It is indicative of the challenges that these tiny plants present that we did not recognise the Hampeella pallens and Lopholejeunea in the field. Bryophyte identification can take considerable skill and often necessitates microscopic examination. One of the goals of the annual Bryophyte and Lichen Workshop is to share and develop those skills. Previous blogs on the Workshop: 2009, 2010. The liverwort Petalophyllum preissii (centre), Kaikoura. It is similar to Petalophyllum hodgsoniae, which we looked for unsuccessfully in Morere Springs Reserve. Photo David Glenny, © Landcare Research. We also had some search failures. We didn’t find the distinctive Petalophyllum hodgsoniae, a liverwort that looks a bit like a fingernail-sized lettuce. It is known from a single 1947 collection, and is regarded as Nationally Critical. Visitors to the forest behind the thermal pools at Morere, near Mahia, might keep an eye out for it during spring and early summer. Our observations, be they positive or negative, provide data for the Department of Conservation sponsored Bryophyte Expert Panel to re-assess the Threat Classification of New Zealand’s bryophytes. 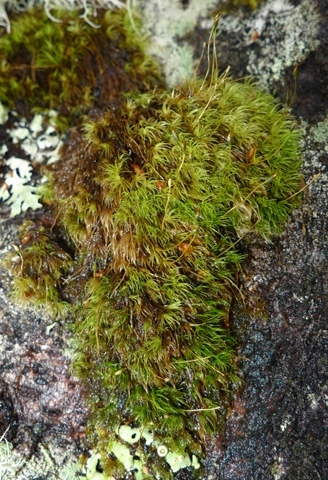 The 2010 evaluation of the threat status for New Zealand’s mosses and liverworts. More about how Te Papa’s botanists contribute to plant conservation. We also looked for a Porella liverwort known from a mid-twentieth century record on the coast at Whakamahi near Wairoa. Unfortunately the area is now devoid of native forest, so there wasn’t much to search. Many mosses and liverworts have specific habitats. If the habitats are destroyed, so too are the inhabitants. Which is why accurately documenting the distribution of New Zealand’s biota, no matter how small the plant or animal, is so important – surely we do not want to inadvertently consign more species to extinction. Thanks to Allan Fife and David Glenny, bryologists at Landcare Research’s herbarium at Lincoln, for their expertise and support. made under a Department of Conservation permit. Thanks Shirley. I’m not sure about Petalophyllum’s texture, but hopefully I’ll get to see it alive one day. Hi Leon Perrie, I appreciate your great work. The liverwort Petalophyllum preissii looks awesome. Looks so soft like a satin cloth, as if its created by lace cloth. It might be very slippery I suppose. Thanks for your comment. The only other blog posts I have on bryophytes are linked in the above post: https://blog.tepapa.govt.nz/2009/10/27/a-close-look-at-little-plants-mosses-liverworts-lichens/ and https://blog.tepapa.govt.nz/2011/01/25/bryophyte-workshop/. I look forward to learning the results of your New Zealand trip.